What Can Armed Security Guards Do For You? 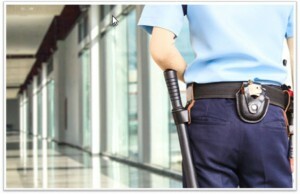 Posted on: In: Blog | Comments Off on What Can Armed Security Guards Do For You? The private security sector has been experiencing steady growth in recent years, offering both physical safety and satisfaction to customers. However, while there exist a wide variety of companies and individuals who need the service of security guards, there is one question that is hardly answered: do you need an armed or unarmed guard? A security guard acts as a barrier to criminals, but, an armed guard is seen as a huge risk from a criminal’s perspective. This means that fewer offenses will happen. Oftentimes, crooks who are looking for an easy target will find any place that has armed guards more different to target. Here are some of the ways you can benefit from the services and expertise of armed security guards. One of the main responsibilities of armed security guards is to protect all those who are around them. Some of their known duties include being hired to protect valuable artifacts at important institutions, facilitating daily reports to their superiors, operate body scanners, transporting valuables from precious metal mining companies and banks, and more! Whenever there is a gun, often there is a risk for loss of life. Either the security official can face the loss of life or the harmless bystander could get injured. No one is sure of what could happen when weapons are applied. When a company allows guns to be used by security guards, they first have to make sure that the security guard is properly trained. However, there are several independent guards who are not properly trained. In this case, it is a risk or responsibility the security guard. They may be risking the lives of individuals around and the guard may not sure if they have the right training. A properly educated armed security guard can help add another level of protection level. Someone who is not trained can only trigger damage and frustration. Using the gun when suitable and doing that with common sense can help alleviate some of the dangers involved in these cases. There are dangers and duties associated with having a security guard at your workplace. Essentially, they are putting their lives at risk every day to safeguard something. Security guards deter crimes as they are taught to evaluate any kind of suspicious activity. In this manner, they can stop anything bad from happening. Having armed guards also sends a note to delinquents that you are serious about safeguarding your company or property and thus preventing them from making your company their target. They also may notify local law enforcement when crimes are likely to happen. Professional and certified guards are trained to manage emergency circumstances, and they know how to respond to different situations, such because of robbery and harmed people. Security guards utilizing their skills are able to manage crowds of people in the right way and handle anything that looks suspicious before something wrong happens. However it t is also important to know that to ensure 100% security is impossible no matter the kind of security that you have. Security guards offering building security in Montreal can use their skills to prevent and minimize robbery and criminal attacks. Feel free to hire armed security safeguards that have been trained and certified as this is one of the most effective ways to keep your office or home safe! Do You Really Need A Security Guard? Posted on: In: Blog | Comments Off on Do You Really Need A Security Guard? Security guards are necessary because they can ensure the safety of people in concerts, airports, and other events. They can also safeguard artifacts from getting stolen and protect buildings from potential criminals. Let’s find out if you really need security guards! In concerts, there are many people who would like to get on stage or sing with the music group or artists, yet no one can tell if everyone looking to get on stage has that exact purpose in mind. Security guards can keep bands secure from people with dangerous intent. Trained guards also seize drugs from those using them illegally at live shows. This can help keep the place secure as some might feel uncomfortable when it comes to drug users, while others might be allergic. At big events, the security personnel can protect celebs from getting injured by the crowd. They will usher in celebrities from their cars, making sure no one gets too physically close to them. Celebs are always ready to interact with hundreds of thousands, and people always want to talk with them. But, some will choose to do this in a dangerous way, like try to actually assault them. Security officials play an essential role in protecting the celebrities. Simply by protecting the superstars, they make sure that followers will still be inspired by their favorite celebrities and never experience loss of life due to a fatal assault. Hundreds of people go through the airports every single day. Not all people are an innocent tourist going from one destination to another, and security guards help pick these individuals from the rest. They can also risk their lives to search for bombs, monitor cameras, search for weaponry that evil-minded individuals use to hurt harmless civilians. By risking their lives, the guards help people going through the airport get to their destinations safely. Security guards work during the night to ensure that important premises such as museums do not get broken into. They work to protect invaluable artwork from theft. It is very brave that guards can work at night to protect you and your property. It is crucial to ensure that you are safe at night, and security guards play a huge role in this. Security guards work as doormen for apartment buildings, making sure that tenants are secure. It is important because they are preventing any kind of destructive activity from reaching the residents, and if they see something dubious they will report it. If an angry guy gets into the building running after a woman and a guard halts him, that guard might have saved that woman from domestic violence. Trained guards do not just stop crime; they can also help people from being scared. Security solutions in Montreal are important in any community. The guards are trained to ensure a safe place for everybody. Overall, security guards help our world become a secure place by risking their own lives. People at shows, airports, red carpet events, and many other locations are all safe and sound because security officials are protecting them. Simply by guarding places like schools, businesses, banks, and other important places, or simply by protecting people like college students, celebrities, politicians, and even chief executives, security guards show that they play a significant role in the world. That is the only worry that they have to keep in mind, and if they do not do that, the place around us could be very risky and dangerous. This is why security service is very important nowadays. 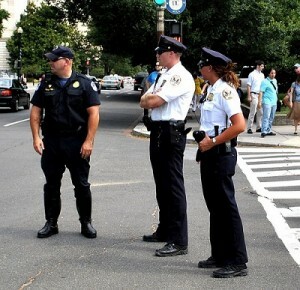 Posted on: In: Blog | Comments Off on How Important Are Security Guards During Events? In most events, you will get the uninvited people who try to be part of your event. Such people can even use force to make sure they are part of your event. Security guards can prevent such intruders and ensure only your invited guests gain access to your event. With guards on your event, you can be sure that your event will be smooth and enjoyable. Planning a party of any kind can get disorderly if there is no appropriate crowd management. The probability of commotion issues is much more likely to happen if you have alcoholic drinks at the event. People can get drunk and cause problems. A big crowd, generally, could get hard to manage even if there is no alcohol in the event. Along with offering total protection, therefore, security guards can also help in controlling the crowd and maintain discipline in your event. When you plan to invite high-profile people and celebs to your party, hiring security officers from a reputable security guard company in Montreal is important. There are many of risks of the security and safety of the high-profile guests and protecting them is your responsibility. Security guards at entry and exit points can easily prevent unwanted or armed people from getting into the premise. In addition, security guards hired for the security of guests make sure no one comes close to the guests. When you organize big occasions that have invited celebrities or VIPs as guests, the media may have their eyes on the event. If they are not asked to cover the event, they will try to get in the event premises to cover the big event. Handling such undesirable and uninvited press individuals can be difficult as they might even do negative publicity of your event. Under such circumstances, security guards can come to your rescue. They can manage such individuals and stop media and press from entering and causing disturbances. Security breaches are serious issue that can result in accidents. If there are no guards, it is possible that intruders take advantage of certain costly equipment or spy on your event. With the help of a video monitoring system and a team of security guards, you will be able to keep a close eye on each and every detail of your event. You can also use the recorded footage as proof during cases of legal disputes. Emergency situations that you cannot control include a fire, bomb blast, or a sudden accident. Ensuring the safety of eventgoers should always be your primary concern. 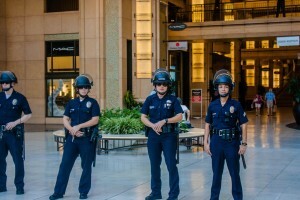 By hiring security guards, you can deal with any kind of emergency situations efficiently. Security guards are properly trained to handle every single crisis circumstances and know how to get people out securely. Now that you know how hard handling the crowd and staying away from undesired entries to your event can get, you need to consider hiring professional guards for the benefit of your event. Make sure you hire the right security guards to ensure complete security and safety. Business buildings happen to be the most affected by no matter how small the earthquake is. The taller property, the more susceptible it is to earthquake damage. That is owners must have an earthquake to make sure they guarantee the security of everybody inside. Seismic activities happen to be documented and reported every now and then. Security guards are always up to date and notify each time a seismic activity is reported. Security guards can examine the rooms, corridors, pathways, and additional parts that can easily be used to evaluate someone. The security guards can also remove other things that could cause accidents during the earthquake. Security guards will help ring alarms when there is an earthquake. By doing that, people will get informed that there is an earthquake and will move to a safe place. Security guards can also help in controlling people in the building and making sure they are following the right earthquake safety rules. Security guards can help kids, seniors, and women who are pregnant during the earthquake. Security guards make sure there is a record of people arriving in and leaving a building. Thus, they can use the information to find the number of persons who were in the building to see if there is somebody missing. Security guards work with local emergency teams to search throughout the building to save lives. Security guards will inform occupants or tenants when it is secure to return to the building. When it comes to earthquakes, there are basic things you can take to make yourself safer. The information below is designed as a guide on what to do before, during, after an earthquake. Determine the safe locations in every room; don’t be caught off guard when an earthquake strikes. Make sure to have necessary supplies when your family members need them. Make replications of important documents and emergency kits. A huge earthquake by itself will not have a great threat. But the result it has on the objects around the area. The floor might shiver strongly and trigger heavy items to fall. In fact, the majority of injuries during an earthquake are triggered by objects dropping on people. Ensure that everything anything that may cause damage is in the right position! Remember that nothing is certainly too heavy to move during an earthquake. Just like when you find yourself burning, there are specific actions you should consider to take when you are in an earthquake: Drop, cover, hold! Drop on all fours. You will certainly not harm yourself from falling. Staying low keeps your face, and body organs safe from different items. Cover yourself. Get under a piece of furniture like a desk. If there is no desk, choose a wall or room with no items that will fall on you. Make sure to cover your head and neck all the time. Hold your situation! If the earthquake starts to move the furniture and other items, be sure to grab something to cover your head. Small earthquakes that follow big ones can be risky because they will hit when people think they are secure and let their secure down. Earthquakes can break gas pipes and leak toxic and burnable gas. When an earthquake occurs, make sure both you and your family members are well protected to the best of their capability. Try to alert security guard and patrol service companies when possible to expert support. There has been a change in the way many companies think about personnel-related support functions in both big and small companies. This change is to their core proficiency and involves external service features that are not related to the company. This change is especially common with security services. Businesses of almost all types which offer the protection and security of their workers, customers, and assets are seeking trustworthy security service suppliers to work within their security programs. In today’s time, a highly effective security system is not always a company security official! The risks and security concerns in our society today demand extremely positive security systems that also offer: professional training programs with important site/industry specific schooling and emergency/disaster skills. Many businesses think that by utilizing a contracted security firm they are going to lose control over their security division. This is simply not the case with professional security companies. All that makes a security program: both training and site specifications are created and changed on a required basis to match the requirements of the customer and to meet security goals in the most accurate manner possible. Reputable security experts should be able to provide recorded training and agreement compliance audits regularly to ensure this. While finding a trustworthy company in the pool of security companies could be a problem, there are several companies that offer security services in Montreal, who work in an extremely professional manner. These are companies that do enough qualifications checks and have a serious team hiring process. Many security experts warn that changing to another service provider will mean low value for their business, much less control over this program, or could possibly loss of their jobs. But a change to a security contract may have a contrary impact. Security managers who delegate their protection system know they are more need to dedicate long hours to deal with the daily burden of controlling security officers. They offer their skills in more effective ways through creating site cost reducing applications, creating crisis programs, and boosting the performance of their security software. This raises their worthwhile reducing their security headaches. Change to a security company agreement does not always mean losing your well-established security team, contract companies certainly maintain the present staff as desired as long they will satisfy the needed skills and company requirements. The company will work to make sure there is a simple changeover. With many companies competing for business and doing this with better technology, it is essential to have a workforce that is completely focused on enhancing a company’s primary service. For instance, a roofer materials producer most probably will never improve its placement in the markets because of the attempts of the in-house security officials. That is many company managers decide to use trustworthy contract security companies, just like to be their very security experts to allow them to concentrate on their particular business goals. So how much will it cost? Understanding the total costs of the current procedures enables security experts to assess and clarify all details to make sure that contracted choice will make more sense for your business. Generally, the price of a security protection program can be compared to or less one company’s proprietary security plan budget. However, the more security provided, in addition to the removal of other hidden costs will reduce a company’s long-term expenditure. Extra costs include overtime salaries, company uniforms, recruiting and history check costs, teaching, supervision of staff for payroll solutions and depreciation of gear. Business property management has its own set of requirements in terms of ensuring the security and well-being of occupants. It is incumbent upon commercial property managers and owners to ensure that their property meets correct jurisdictional safety requirements. Building rules, federal government provincial and municipal, open fire requirements, electric requirements and occupational security regulations all have a stake in the whole home safety assessment. One of the most important components is work-related security. For commercial buildings, it is important to realize that commercial home protection policies will certainly overlap rules regarding work safety practices, which direct company owners to make sure that work environments are secure. Since there is absolutely no single catch-all set of rules associated with commercial property safety, it could be hard for the property or homeowner to get a feeling of precisely what is necessary. As there is a lot that is needed by the government, working with a property security consultant in Montreal will help simplify the job. To make sure that you are correctly protected when it comes to essential safety requirements, we have compiled a list to assist the property owner do a self-audit. While this is simply no alternative for appropriate home inspections, it will help to underline areas where protection laws might not be fulfilled. Using the services of a property safety inspector will be a smart investment. Not only does it explain areas where safety is a concern, it will assist you to limit property liability over time. It is recommended that homeowners conduct their own basic safety audit. By doing so, it is possible to discover safety infractions and correct them before they turn into a substantial concern. When these things have already been taken into account, it is time for to begin the basic safety study of the commercial property. Authorities regulate fire codes that all buildings in particular jurisdictions need to comply with. Buildings have to adhere to fire codes. City rules may possibly apply too as well. Fire-safe practices are among the primary areas of concern for any business property owner. Make certain that the property contours to all relevant rules are important. Just like open fire rules, there are codes in place governing power systems. Electrical security rules happen to a commercial responsibility. While wrong electric contacts and wiring can mean fire risks, they may cause potential personal injury through electric shocks. Wrong electric systems may also lead to other safety problems. The amount of sanitation necessary for commercial property is different depending on the kind of what is taking place. However, there are minimum standards that are a must under federal laws. Generally, sterilization is an essential basic safety requirement, since it has the probability of negatively affecting a property occupant’s wellness. There are many issues to consider when performing a commercial property safety review. Joining hands with an expert home safety inspector is extremely important. The expert will help analyze the condition of the property and decide where security requirements are not followed.